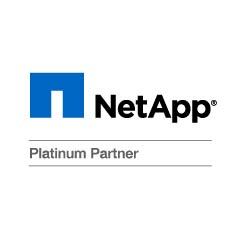 Iron Bow is a NetApp Platinum partner and leading advanced infrastructure solutions provider. Iron Bow has shown a commitment to enhanced technical support and sales expertise, achieved through NetApp’s certification requirements. Iron Bow’s alliance with NetApp enables clients to achieve competitive advantages and improved profitability through a simple, reliable, unified architecture in today’s storage arena. Iron Bow is also a NetApp Authorized Professional Service Partner (APSP) allowing Iron Bow to perform authorized services for NetApp solutions.